January is the perfect time to reflect on the last 365 days and set new goals for the upcoming year. Though resolutions are common, keeping them is a well-known challenge. According to an article by U.S. News, about 80 percent of those resolutions fall through by mid-February. Luckily, Macy’s can help. 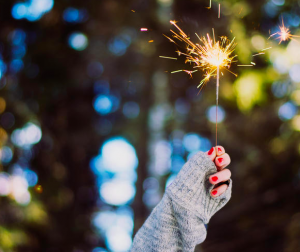 Because it’s hard to stay motivated after the excitement wears off – here are some tools, toys, and tricks to keep you on track with those resolutions to make 2018 your best year yet! Most of us could stand to elevate our health game – no matter what level we’re at. Food is such an integral part of our day-to-day life, so it helps to make healthy eating as painless as possible. You’ll find a quality blender in any health nut’s kitchen and for good reason. With a Vitamix or NutriBullet you can fuse nutrients together and enjoy them on the go. Perfect for knocking out those fruits and veggies in a hurry. Meal prep is essential for anyone who doesn’t have time to whip up delicious and healthy creations every day. This meal prep container set by Martha Stewart will keep your food fresh and organized – saving you time, money, and energy. Managing portions? 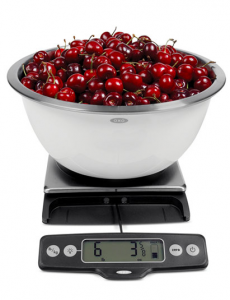 A food scale keeps no secrets, letting you know precisely how things measure up. Knowledge is power and this little accessory can play a big role in your meal plan. Nothing expands our worldview better than seeing it first hand. But before saying, “bon voyage,” make sure you have the goods to score the best travel experience possible. The foundation for any traveler, you’ll want quality luggage that can withstand all your new adventures. 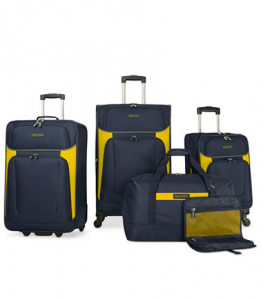 This luggage set by Nautica comes with 5 pieces and a 10-year warranty. Never get stuck with excess baggage fees again! A portable luggage scale will let you know exactly how much your bag weighs before you enter the airport. Travel the world and don’t think twice with a handy dandy travel adapter. This one gadget allows your electronics to stay charged no matter what language is spoken in the background. 6-pack abs and new adventures are fine, but it’s important to remember what matters most. 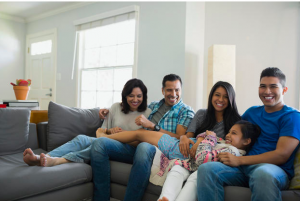 Scheduling more family time is a solid way to stay connected and there’s no shortage of activities to enjoy! Be the cool family and travel through time with a virtual reality headset by Dream Vision. Take turns having other-worldly experiences and enjoy watching each other navigate the game. Sometimes we need a little reminder about what really matters from time to time. What a better way to keep your family resolution present than with this Families are Forever wall decoration? Why go out to the movies when the best part is in your living room? Bring that cinema smell to your door with this kettle-style popcorn maker and have family movie night any time of the week. The gym is waiting and you’re not alone – a significant amount of resolutioners will be on the treadmill beside you. Here are a few little helpers to keep you on track and motivated. A Fitbit is the ultimate fitness junkie’s compadre. Track your heart rate, count steps, monitor sleep, and put pep in your step with its little reminders to move daily. Have a soft, supportive foundation for your downward-facing dog and enjoy a yoga mat that reflects your personal style. A quality pair of kicks will help you prevent injury and stay balanced. Tailor them toward your type of workout – like these AND1 men’s basketball sneakers or some Nike Air Max running shoes for women. Because a lack of sleep is linked to all kinds of downers – memory shortage, decreased concentration, performance problems – this resolution should be non-negotiable. 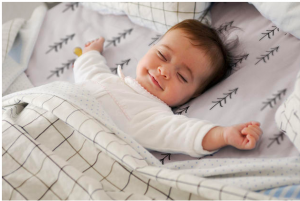 We spend one-third of our lives sleeping, so find a quality mattress to make it optimal. Macy’s Mattress Sale is happening now, and because of their 24-month financing offer (with zero interest! ), it’s the perfect time to buy. A memory foam pillow can adjust to your body’s shape, giving you the sweet dreams you deserve. Give this Tempur-Pedic Dual Position pillow a look-see. Like a fragrant lullaby, an aroma diffuser can transform your bedroom into a spa-like experience. And because it comes with an essential oil starter kit, you’ll have everything you need. Resolutions have their challenges so set yourself up for success in every way possible. Look at your environment, decide how to make it a place of growth, then enjoy SLAYING 2018!